Olabisi Onabanjo University (OOU) Post-UTME Admission Screening Results Successfully Uploaded Online for 2018/2019 Academic Session. 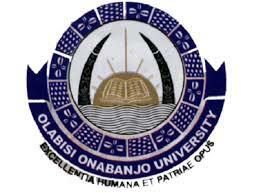 The Management of the Olabisi Onabanjo University (OOU) has released the 2018/2019 academic session Post UTME Screening Exercise results. The OOU Post UTME Admission Screening exercise results have been successfully uploaded online. 1. Kindly log on to OOU Post UTME result checking portal via https://www.oouagoiwoye.edu.ng/putme/apply.php. 2. Enter your JAMB UTME registration number in the required column. 3. Finally, click on ‘VIEW PUTME SCREENING RESULT’ to access your OOU Post UTME score.